Finally, the NBA regular season has been laid to rest and we are shifting gears to playoff basketball! That last three weeks or so felt like forever, as most of the top seeds already established positioning. We were just waiting for the lower seeds to duke it out. We are in for a real potential treat of a postseason given the stunning depth of the regular season survivors. Even though higher seeds have home court advantage, the West is just so competitive that you could conceivably see one of the bottom four seeds getting hot and taking a series against the favorite (unless it's the Warriors). 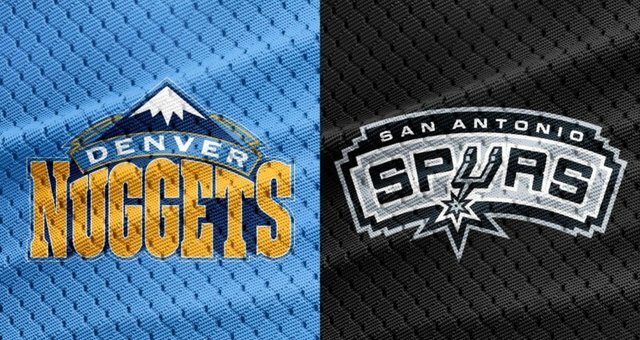 One matchup with a chance to be one of the more entertaining Round 1 exchanges is the Western Conference's (#7) San Antonio Spurs versus (#2) Denver Nuggets. The perennially underestimated staple of the West versus arguably the most slept on team coming into the year. A face-off that features tested postseason vets pitted against feisty playoff greenhorns. It could easily end in five games either direction, or it could develop into a complete seven-game slugfest. Denver was expected to make the playoffs coming into the year, but very few pegged them to finish as the West's #2 seed. They finished just outside the top eight last year after falling in a first of its kind end-of-season tiebreaker to Jimmy Butler, KAT, and the Minnesota Timberwolves. To go from outside the playoffs to the second-best seed with the relatively same group of people is a commendable feat, but the standings were a jumbled mess until the end. The margin between the second and third/fourth seed was only one game, and there was only a four-game difference between #2 and #5. The Nuggets didn't exactly run away with the two-seed, but it speaks to how up in the air the West is if your name isn't Golden State (particularly the version of them that cares). Hats off to the Nuggets for amping their overall level of play this year to power through the regular season. The Spurs, on the other hand, were being touted as a potential lottery team before and during the year. 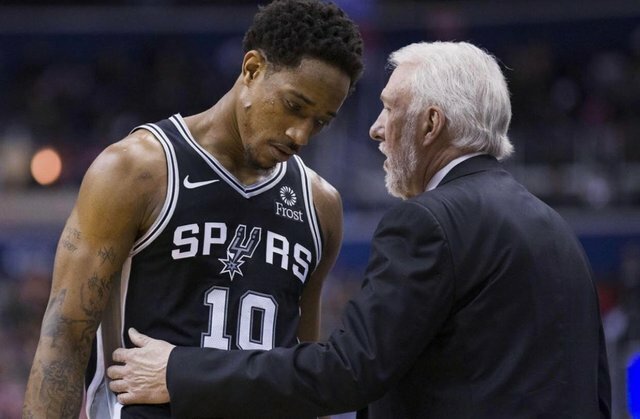 A series of losing streaks only served to make those doubts louder, but the combination of DeMar DeRozan, LaMarcus Aldridge, Greg Popovich outmuscled the strife to the tune of a 48-win campaign. San Antonio did it while shooting an unconventional amount of shots from the out-of-fashion midrange zones, thanks to the natural strengths of their stars Aldridge and DeRozan. 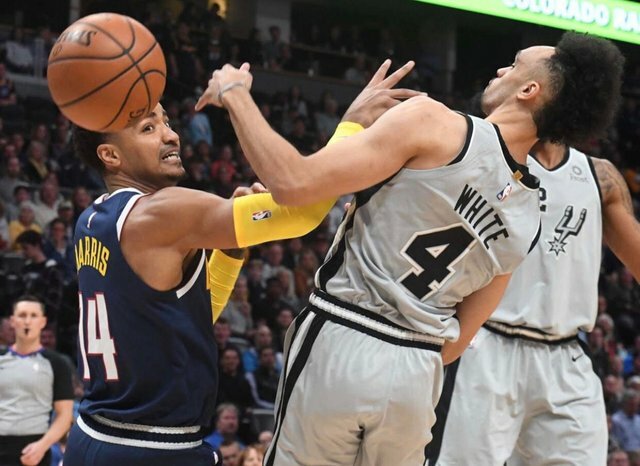 Despite the retro emphasis, the Spurs boasted the sixth-ranked offense on the year according to NBA.com. Denver just so happened to finish right behind them at 7th. The teams faced off four times in the regular season and each won twice. The home team was the victor every time out, with Denver taking an authoritative 28-point W in their last match. Other than the final blowout, each game came down to the wire in the regular season series. The only caveat was that Denver wasn't fully healthy in their first two games, missing Paul Millsap and Will Barton in each. Both of those guys serve as X-Factors for the Nugs. When Barton and Millsap are in their bag, Denver is a lot tougher to beat. I'm interested to see how the battle of the bigs plays out. Two versatile, offensive-minded All-Stars in Jokic and Aldridge are set to clash in the post and beyond. 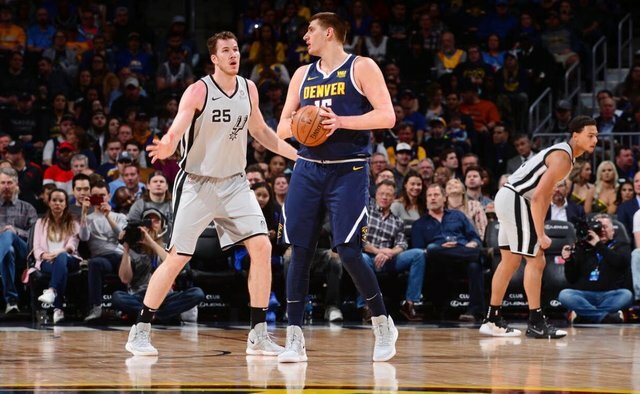 Though LaMarcus is a Power Forward and Nikola plays Center, the two big men will inevitably get switched onto each other in the tango that is 2019 NBA defense. The Spurs like to throw opponents off with occasional zone coverages, so it'll be up to Jokic to aggressively attack while threading the needle with his prodigious passes. Paul Millsap can be a series decider of his own if he gives Aldridge a hard enough time. One other question on people's minds is how will the Nugget's young guards and wings perform in their first playoff test? Jamal Murray, Malik Beasley, and Gary Harris have all had standout moments in the regular season, but everyone keeps saying, "Wait until the playoffs." Will they rise with the tide that was the 2018-19 Denver Nuggets or will they fall into the hole of mediocrity liked people pegged they would? I think they're going to experience a slight bit of growing pains, but ultimately I see the Nuggets taking this series in 7. That home court advantage never looked so good. I upvoted your contribution because to my mind your post is at least 8 SBD worth and should receive 233 votes. It's now up to the lovely Steemit community to make this come true.